They spook the faint-of-heart every Halloween. Ghoulish, hollow-eyed creatures stumble about like they’re half-dead. Their skin is mottled from open sores. Rotting lips peel back to reveal horrific grins. 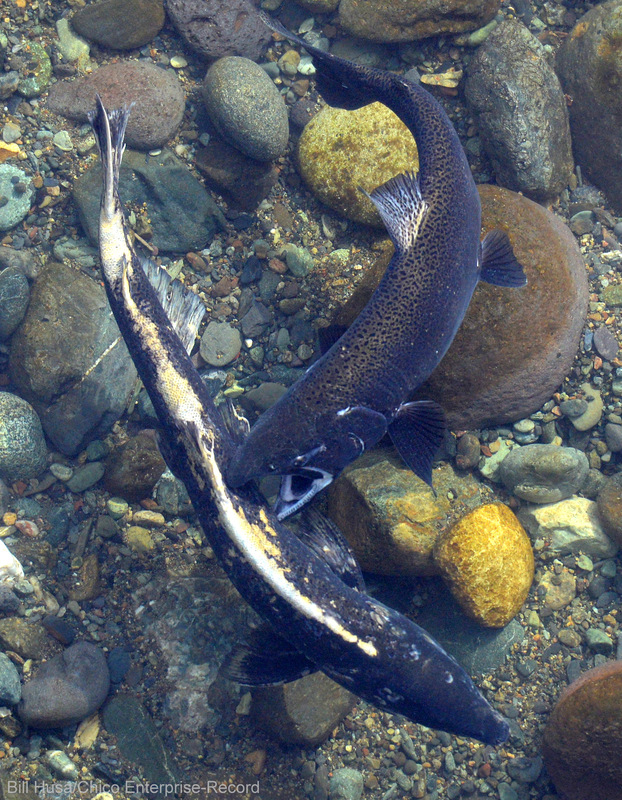 But enough about California’s spring-run Chinook salmon. Come autumn, these fish become the real-life living dead. Human wannabes would place a distant second in zombie look-alike contests. Of course, for salmon, turning zombie-like comes naturally. 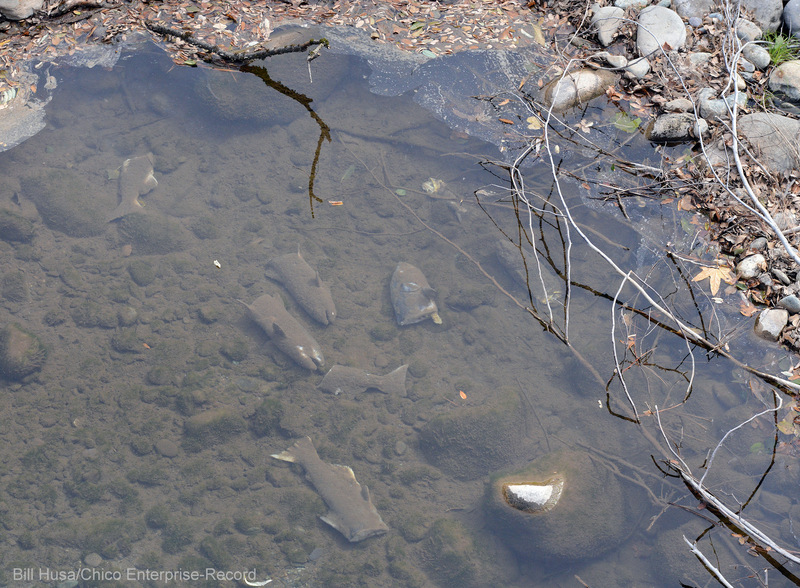 No sooner do the spring-run Chinook return from the ocean to their birthplace in tributaries of the Sacramento River than their bodies start to shut down. Dying females have whitish, skin-scraped tails, having using them to carve out their gravel nest, or redd. Photo by Bill Husa/Chico Enterprise-Record. In Butte Creek, this usually happens in early May. They stop eating and start living off their fat. The degeneration accelerates after they spawn, from mid-September through October. By then, the salmon are burning through their muscles and organs. They’re deteriorating from the inside out. Bill Husa, photo editor at the Chico Enterprise-Record, arrived at the scene a few weeks ago, at the peak of ugliness and stench. He and reporter Heather Hacking were on a story involving, appropriately enough, the hacking of the salmon carcasses with machetes. The California Department of Fish and Wildlife had assigned a crew to find zombies that appeared to be dead – no clear eyes or red gills – and chop them in half. This was not to make good and sure the zombies were dead. 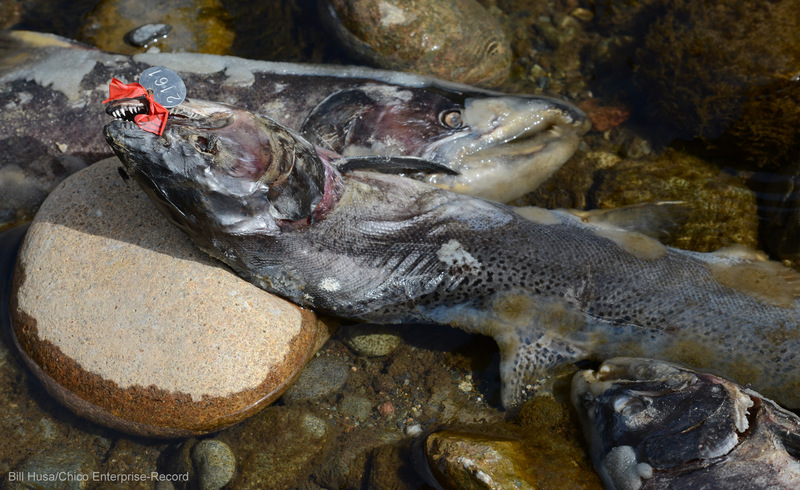 Rather, the agency was conducting a routine “carcass survey” to estimate the season’s return of adult salmon. Surveyors chop the carcasses they tabulate to avoid double counting. Those to be counted later are tagged, as shown in the top photo. 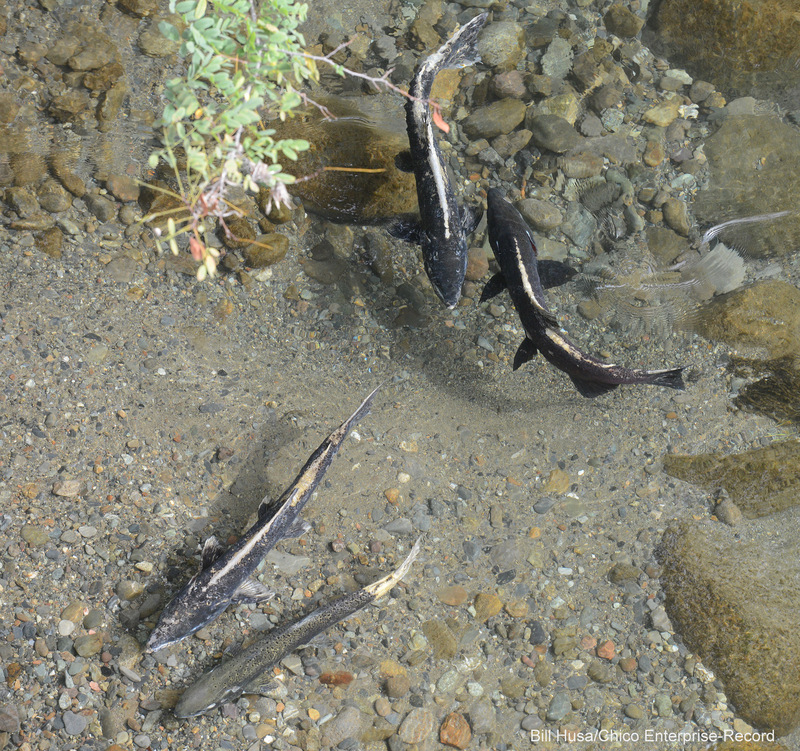 The Butte Creek census is particularly important because the tributary supports California’s largest run of wild, naturally spawned spring-run Chinook. In 1999, the spring-run were designated as “threatened” with extinction on both the federal and state lists of endangered species. The halved corpses are a Halloween bonus to The Creek of the Swimming Dead. But Husa says he doesn’t see it as a horror show. Except, perhaps, in October, when the salmon fall apart. But even then, the zombies live on. They miraculously arise from the dead, when the embryos hatch and the young begin feeding on bugs that contain the nutrients from their parents. Yum. 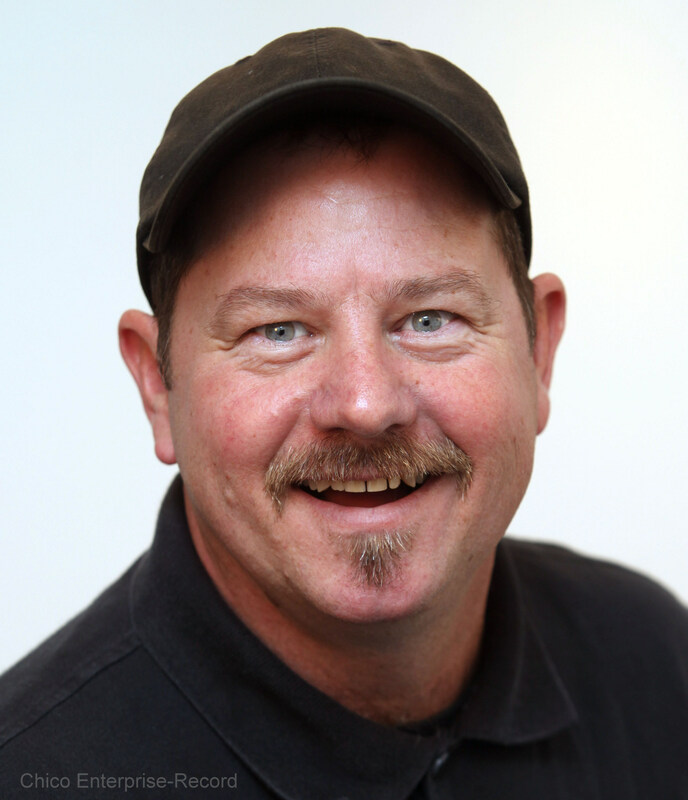 Chris Bowman is Communications Director at the UC Davis Center for Watershed Sciences. He trembles under his bed covers on Halloween. 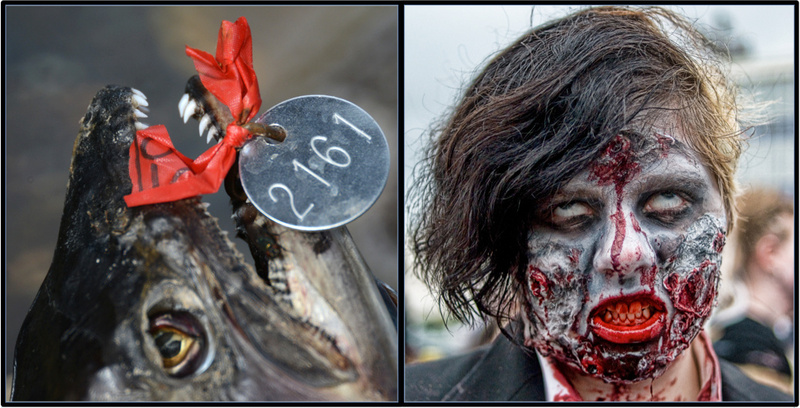 This entry was posted in Uncategorized and tagged Chris Bowman, Halloween, humor, salmon. Bookmark the permalink. provide credit and sources back to your blog? My blog site is in the exact same niche as yours and my visitors would truly benefit from a lot of the information you provide here.